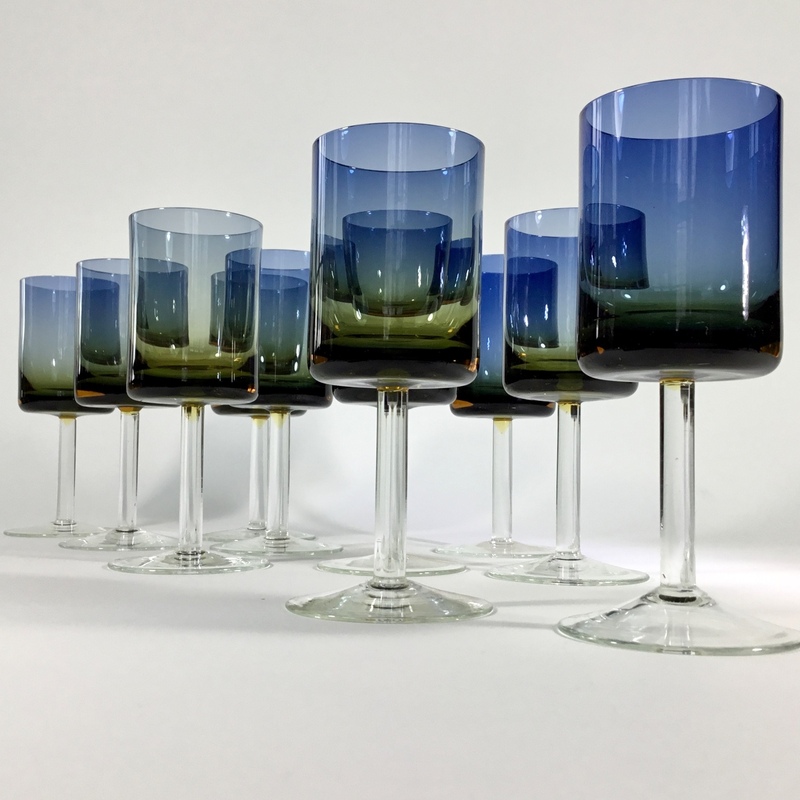 A most impressive set of 10 Modernist red wine glasses designed by the great Polish glass artist Zbigniew Horbowy, 1960s. 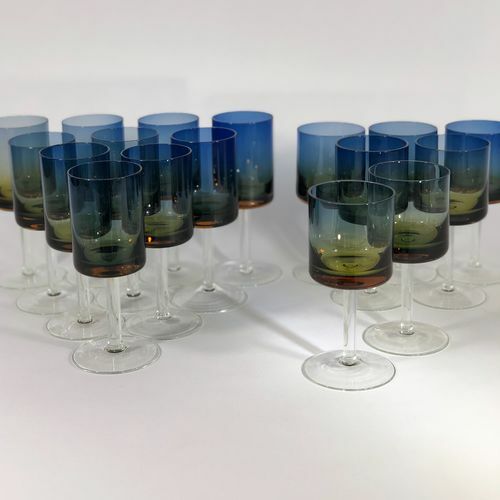 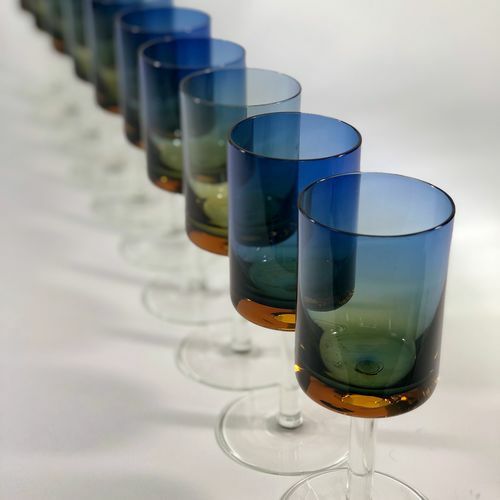 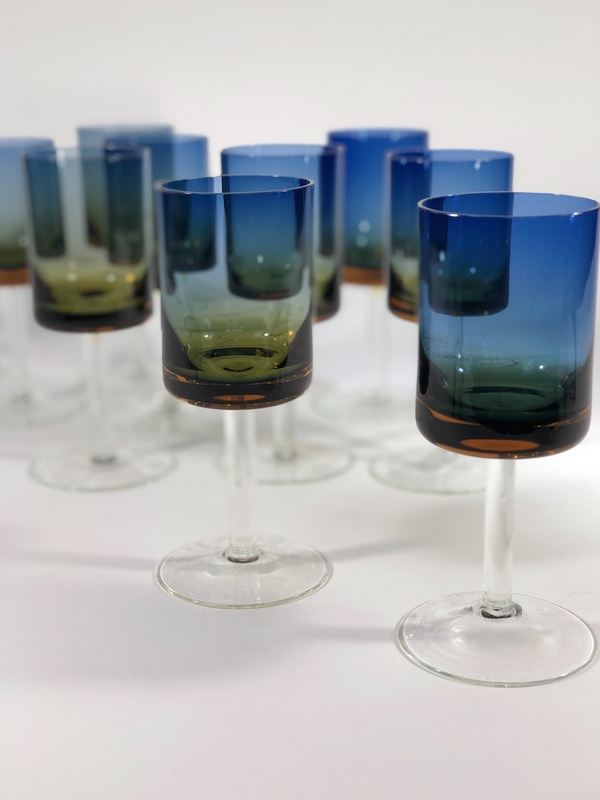 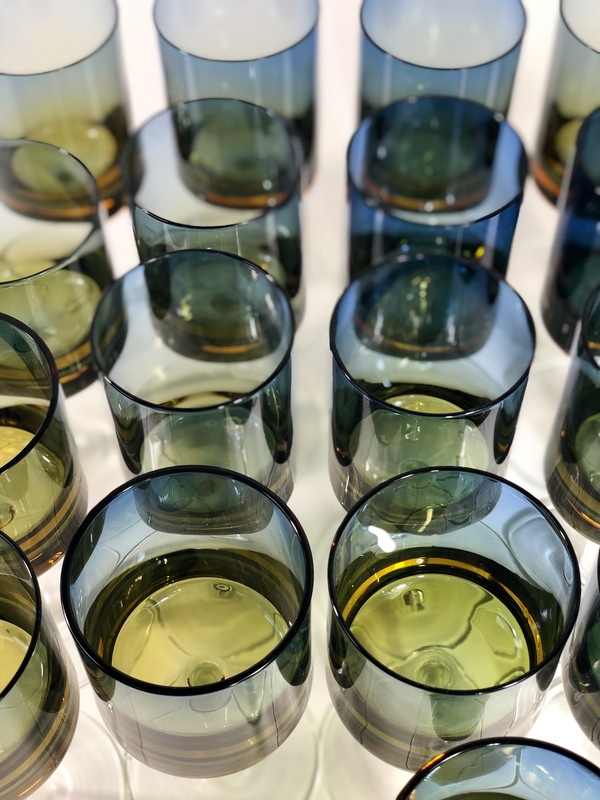 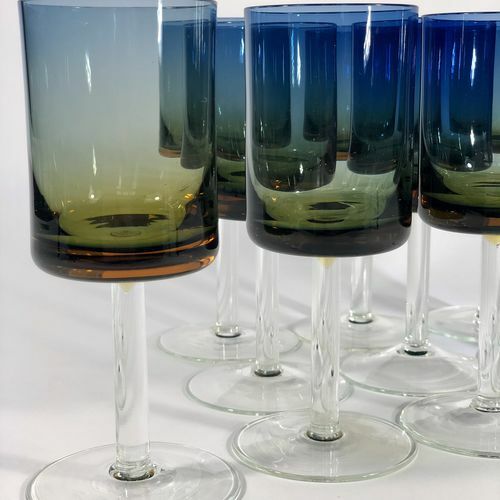 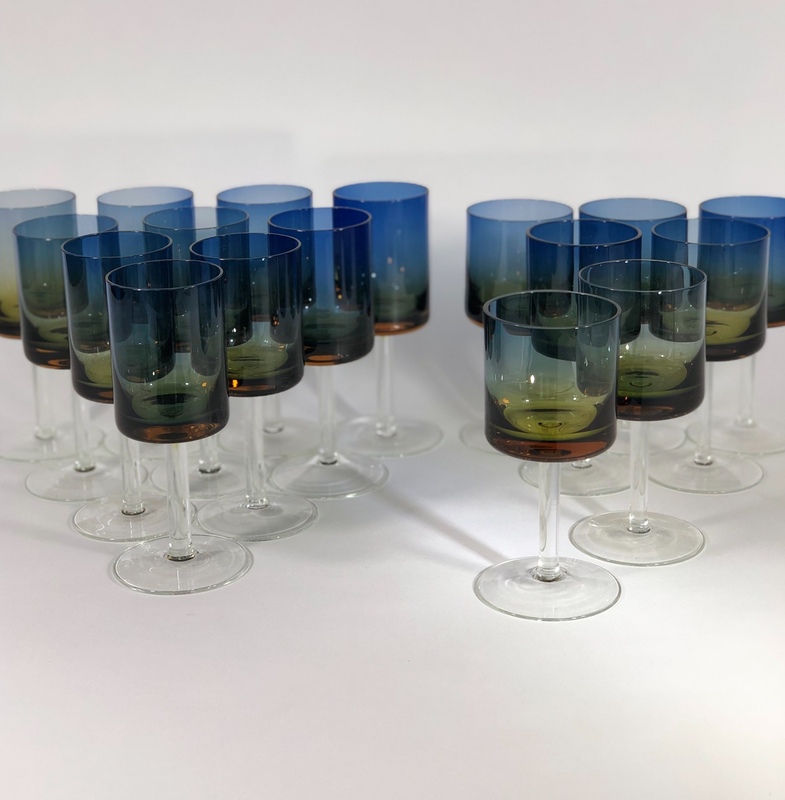 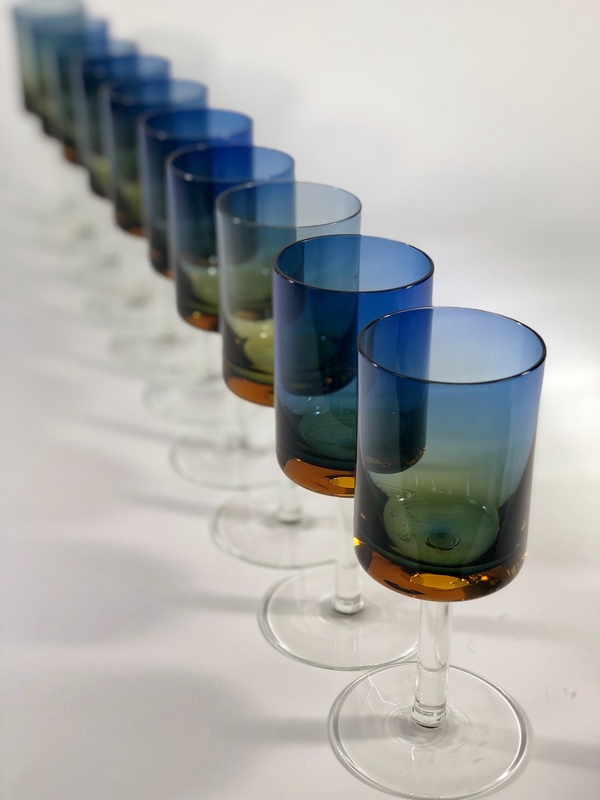 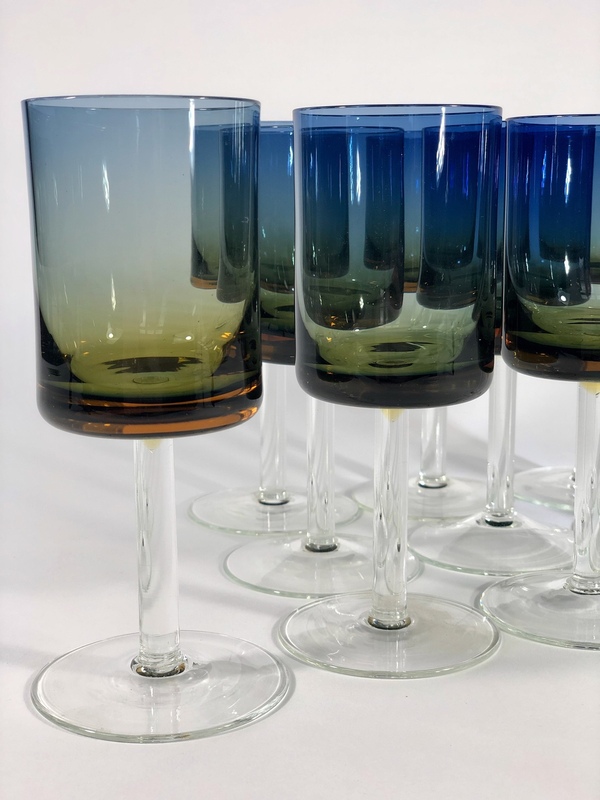 These incredible glasses were individually handblown and, as they cooled down, half re-furniced to create the fantastic change from blue to amber (commonly called Bluerina). 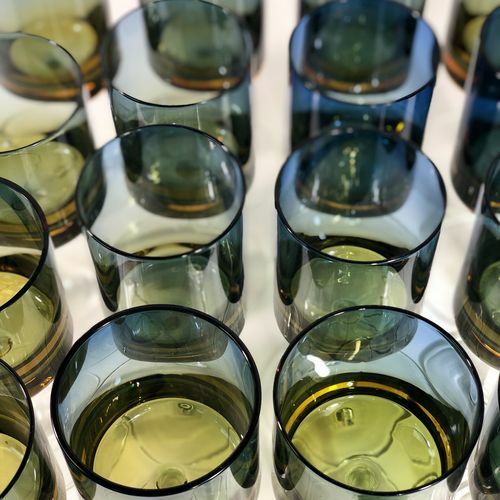 Technically complex, the difficulty to create them cannot be underestimated and demonstrate true craftsmanship. 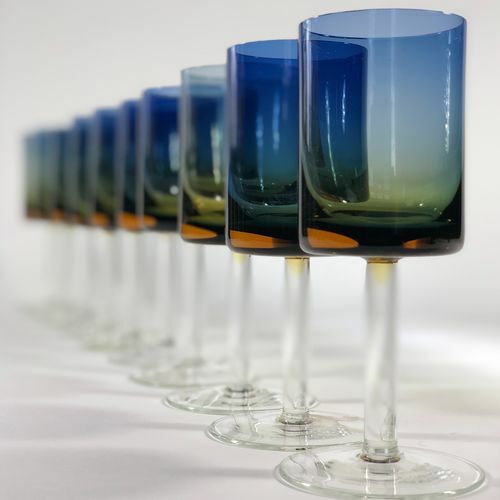 Zbigniew Horbowy (born 1935 in Łanczynie) - a visual artist, engaged in industrial design and glass he was a professor at the Department of Ceramics and Glass and the Rector of the Academy of Fine Arts in Wroclaw, and considered the leading Polish glass designer and creator of his own utilitarian school of design concept. 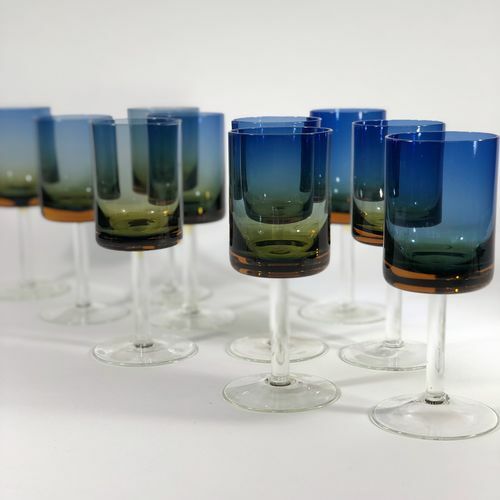 As an artist he was one of the first who moved away from traditional patterns and paved the way for new thinking in the field of glass art. 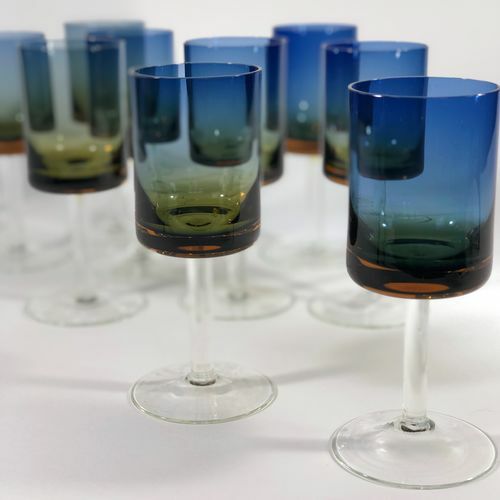 His designs are based on a simple design, form and objective line. 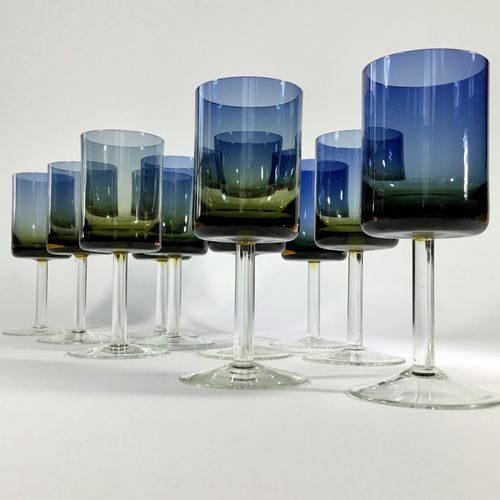 In many opinions, he is regarded as a reformer of Polish design and the first "real" designer in Poland. 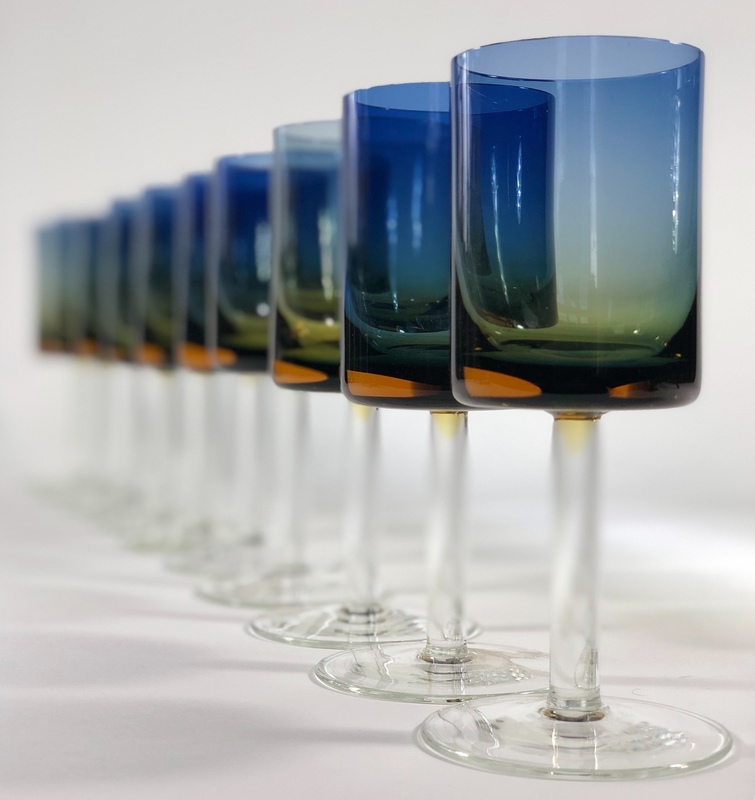 Zbigniew championed technological experiments that enrich color and texture differentiated by adding metal compounds to glass.